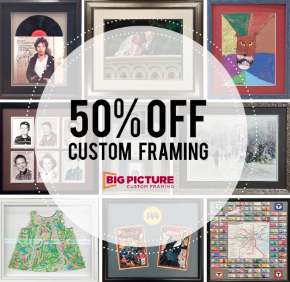 50% Off All Custom Framing! Photos, art, mementos - if they're meaningful to you, they deserve to be preserved, protected and displayed. With 50% off in the month of April, it's time to come see us and let us work our magic! 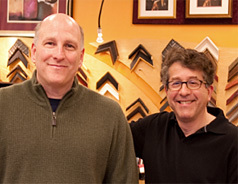 If it's special to you, it's worth framing! Sign up for special offers, new products and events. If for any reason you are dissatisfied, we will make it right for you at no charge…Forever!